The Cisco 1721 Modular Access Router is designed to help organizations embrace the productivity benefits of e-business applications. The Cisco 1721 router enables e-business by delivering secure Internet, intranet, and extranet access with virtual private networks (VPNs) and firewall technology. The Cisco 1721 supports standards-based IEEE 802.1Q VLAN routing, which enable enterprises to set up multiple VLANs and route between them for added security within the internal corporate network. 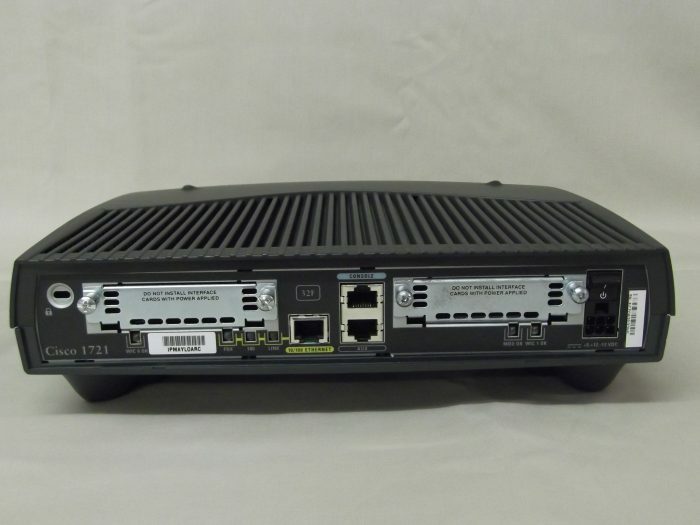 Powered by Cisco IOS® Software, the Cisco 1721 router provides a cost-effective solution for small and medium businesses and enterprise small branch offices to support e-business applications through a comprehensive feature set in a compact design.